You’ve probably heard the phrase “keep your head up” or “keep your chin up,” meaning to maintain high spirits in the face of something difficult and to persevere. Well, guess what? It’s backed by science: maintaining erect posture (sitting up or standing straight, chin raised, shoulders back) actually helps your body respond to stress and manage your moods. Many studies have been performed based on the hypothesis that muscular states relate to emotions, but these studies have mostly focused on facial expressions (smiling does make you happier, by the way!). Recently, a study aimed to see whether or not upright seated posture could help us manage stress more effectively and, in turn, enhance our moods. 74 participants were randomly assigned to either sit in an upright posture or sit “slumped” over using physiotherapy tape to hold each position. Using a stress test, the participants were assessed on mood, self-esteem and their perception of emotional threats. Their blood pressure and heart rate were also monitored. The results were as follows: the upright participants had higher self-esteem, better mood and lowered fear of emotional threat than those who sat in a slumped posture. The individuals who were slouched/slumped used first-person words that conveyed negative emotions and sadness, versus the upright participants, who used far less and who focused less on the self, but rather on the situation and stressor at hand. Maintaining upright posture can help you maintain a good mood, think positively, improve self-esteem and handle stress more rationally by focusing on what is happening in your surroundings versus your own feelings. 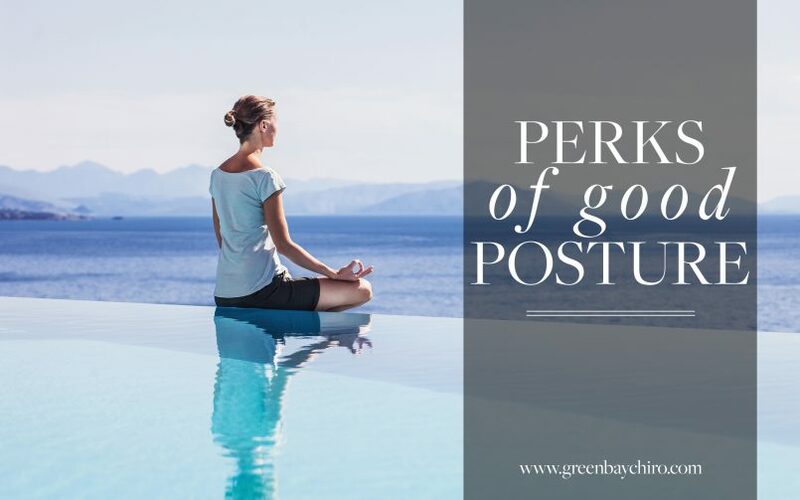 So, next time you’re feeling particular negative or moody, keep your chin up and focus on your posture and your position. In addition to the great mental benefits of good posture, sitting up straight also increases the amount of air that can actually fit in your lungs, allowing you to take nice deep breaths. It also puts less stress and pressure on your neck and shoulders, which can help offset tension headaches. Throughout the day, do a posture check. Whether you’re at your desk, eating dinner or out with friends, pull your shoulders back, straighten your spine and keep your head up. Breathe deeply, relax and enjoy the moment! Our bodies really do affect our minds and, in turn, our surroundings, so give off the energy you wish to receive. A posture check is a great idea for your child as he or she heads back to school, as well. Kids sit in their desks all day long, so to offset low self-esteem, negativity, or excess stress, I can help educate them on the importance of good posture and check to make sure they’re structurally sound before they head back to school. A little awareness can go a long way both in your workday and your kids’ experiences at school! Give me a call to schedule a consultation before that big first day: 920-499-3333.